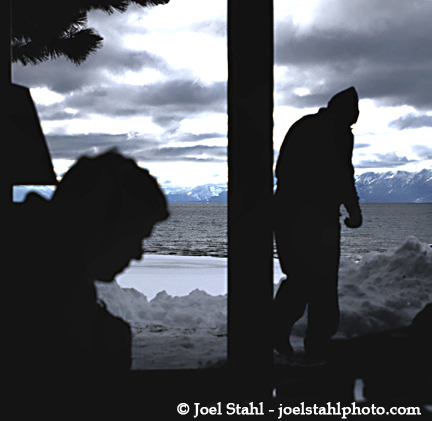 A lone cross country skier ventures out along the Lake Tahoe shoreline in Nevada. 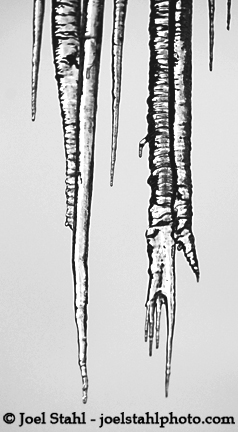 A detailed photograph of ice cycles hanging from a house in Lake Tahoe, Nevada. 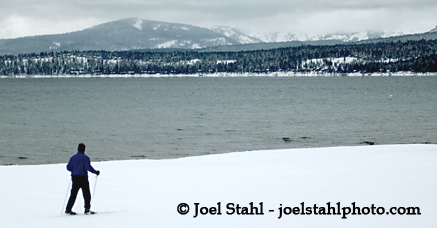 for a secluded stroll along the Lake Tahoe shoreline seen in the background. chalet’s vacancy sign in Lake Tahoe, Nevada.